Harisen spent his day assessing the need for pumps. These two were installed some time ago by a Presbyterian group CCAP and over time a kind of chicken and egg situation seems to have developed. There was a maintenance fee agreed, but the pumps break down alot, the fee was'nt paid, the pumps were'nt fixed and now the pumps have gone. 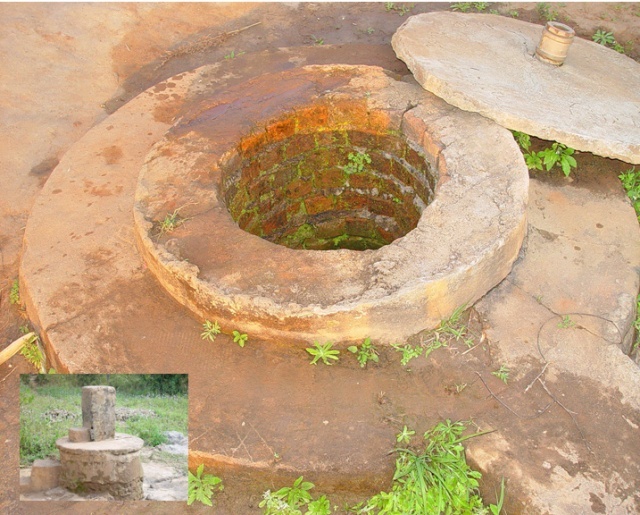 The pumps were not village level maintainable or VLM, they need an outsider and tools to fix them. 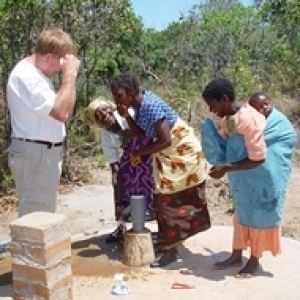 Fault on both sides, but less than 25% of pumps installed in Africa over the past 20 years function now. What a waste of time and money!!. A Scandal! I expect that if men had to carry the water the pumps would be fixed already!!! We were hoping to screw in our Canzee pumps to these covers, BUT they are held up in Customs.... for the past 3 months. Even though they should be duty exempt, the Revenue Comissioner is demanding tax or money or...... just another little problem with beaurocracy. The pumps that were at the airport are still not cleared. It seems the process is still delaying. I heard that they were supposed to be at duty free but the revenue commissioner has said that the taxes are to be payed. Fatima and Charity are sending regards.